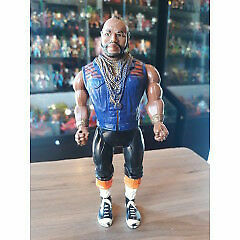 Hi, I’m interested in A-Team 1983 Mr.T Vintage Figure. Please contact me. Thanks! Album covering 1983 - 1994 . Over 100 FDC's , numerous mint stamps and miniature sheets all in a big album. Price per item generally R 5 although there are a few more valuable items. This is an absolute bargain at R 875 not negotiable ! However u can choose any no of FDC's etc missing in ur collection or those of particular interest but individual prices apply and for every 10 items taken u get a 10 % discount. Dont miss out on some rare historic items of SA 's exciting past ! Brass artillery shell -1918. Needs to be cleaned. A toy collection that has taken numerous years to grow. Reason for selling is that there’s no space for them.